Mark2Curators have been busy! Over the weekend, our volunteers brought the current beta experiment from about 28% completion to over 50% completion. We’ve gotten excellent feedback from you and are working to improve on the issues and suggestions you’ve sent us! Thank you and keep them coming!!! 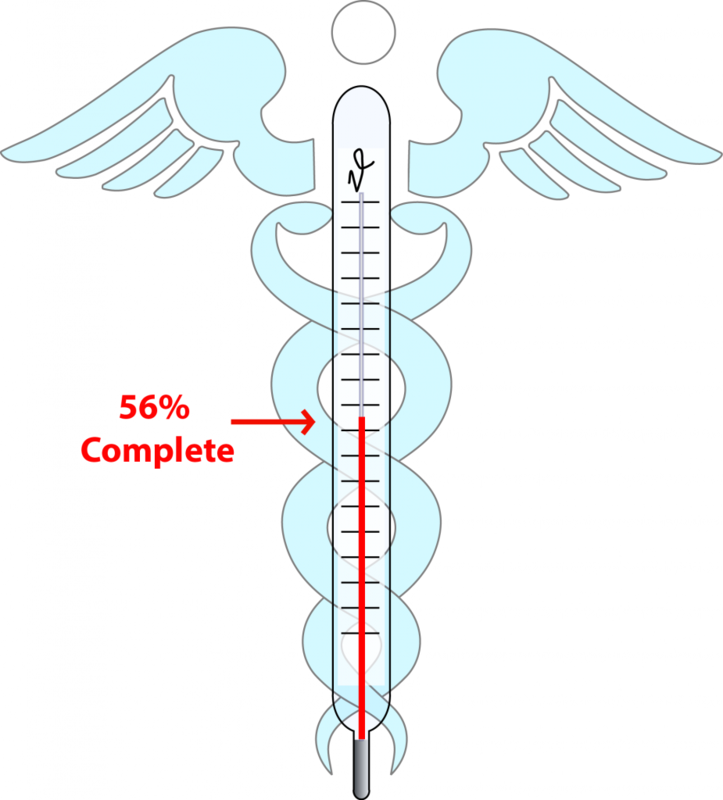 We’re at 56% complete as of this morning–double where we were last Friday Morning! 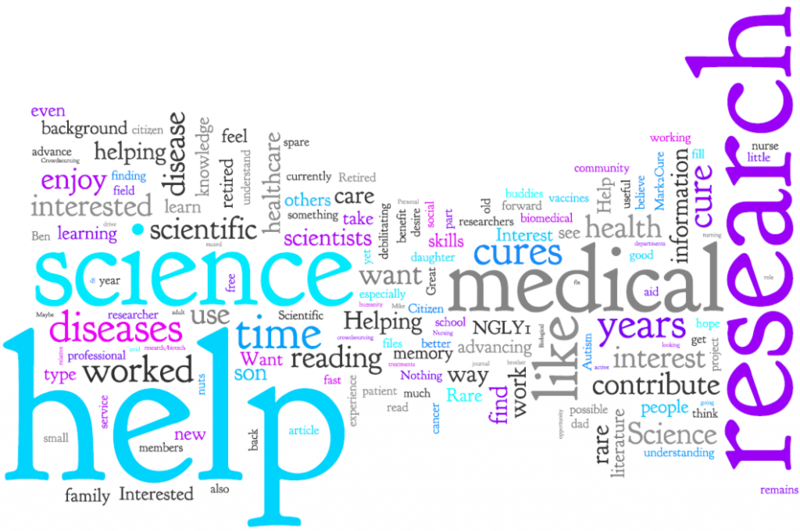 We now have over a hundred registered Mark2Curators who have shared compelling reasons as to why they Mark2Cure. We know all of our Mark2curators are altruistic, else they wouldn’t be contributing, but many have their reasons for doing so. For over half of our Mark2Curators, the primary motivation for contributing is to help others! How awesome is that? About half of our Mark2Curators were motivated by their interested in health and science. About 25% of our Mark2Curators were motivated by disease ties, with >70% of the disease ties being rare diseases. If you’re wondering why the sum of the percentages is over 100%, it’s because many reasons cannot neatly be contained by a single category. If a picture is worth a thousand words? What’s a picture formed from the words of our Mark2Curators worth? …priceless! Of course, none of these quick visualizations are nearly as powerful or compelling as the raw phrases used by our Mark2Curators. (note- please forgive us if we did not include your reason in the tiny sample below, and be assured that your reasons are a great source of inspiration and motivation for our team). 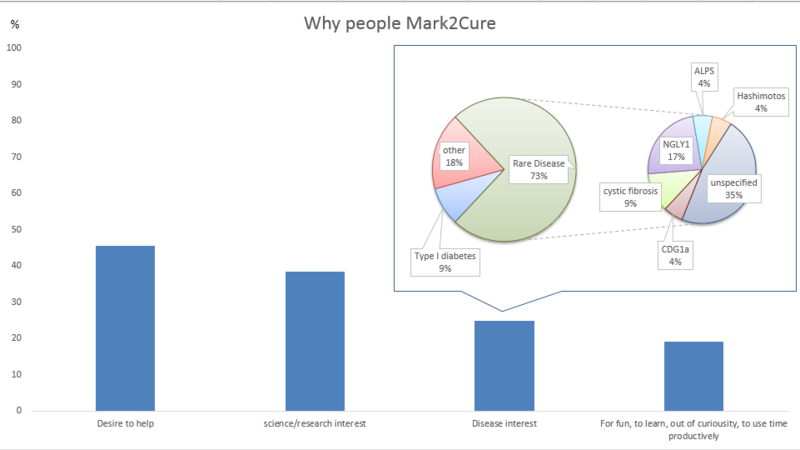 Please continue to contribute to Mark2Cure, share your insights with us and your friends, and help to complete the Mark2Cure beta experiment. To summarize, people Mark2Cure because they are AWESOME! Join this inspirational community of Mark2Curators and tell us why you Mark2Cure!